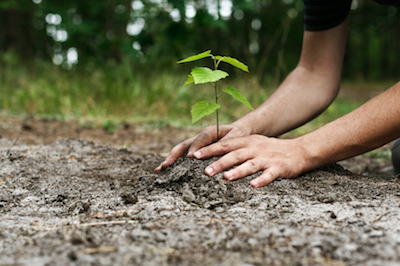 If you are looking for affordable, high quality tree planting services in Toledo, then you've come to the right place. Planting trees on your property is a great way to improve the appearance, and also increase the value of your property. Hiring an experienced professional company like Tree Removal Toledo is important to make sure that you get the right type of trees for your property and that they are properly planted and that they will grow into your yard. When you use Tree Removal Toledo for Toledo tree planting services you know that you will end up with a great looking yard, healthy and long lasting trees and that you'll get a great price as well. Why Choose Tree Removal Toledo for Tree Planting Service? Experience - hiring a professional with vast experience planting trees in Toledo is very important to ensure that your property will look as good as possible for many years to come. There are many intricacies that come with planting trees, and it shouldn't be left to someone without years of experience. Reliability - there are a lot of new contractors out there, and there are only a handful that have proven track records when it comes to delivering what customers are looking for. When you use Tree Removal Toledo to hire a tree planting professional you know that they will have a history of satisfied customers. Low Costs - trees, and tree planting service in Toledo can be expensive, and we'll do everything we can to keep your costs as low as possible. Hiring the right company to get the job done right the first time is one way that we'll save you money in the long run. Are you ready to schedule tree planting service in Toledo, or would you like to set up a free consultation? Give us a call at (567) 218-0786 or complete the quick online contact form and we'll be in touch shortly. You'll be glad you chose Tree Removal Toledo, the number one option for tree planting services in Toledo, Ohio.